This fun Spanish counting song “CINCO CALABAZAS“ (Five Pumpkins) starts with five pumpkins sitting on a log. One falls down, then there are four. Four pumpkins are sitting on a log. One falls down, then there are three, and so on and so forth. The song, performed by Jorge Anaya, is from Whistlefritz’s CD CHA, CHA, CHA — Spanish Learning Songs. Song “CINCO CALABAZAS” (Five Pumpkins) from the Whistlefritz CD CHA, CHA, CHA. Una se cayó solo cuatro quedaron. Una se cayó solo tres quedaron. Una se cayó solo dos quedaron. Una se cayó solo una quedo. Cuando se cayó ninguna quedó. This bouncy, interactive Spanish children’s song teaches Spanish numbers from 1 to 10. 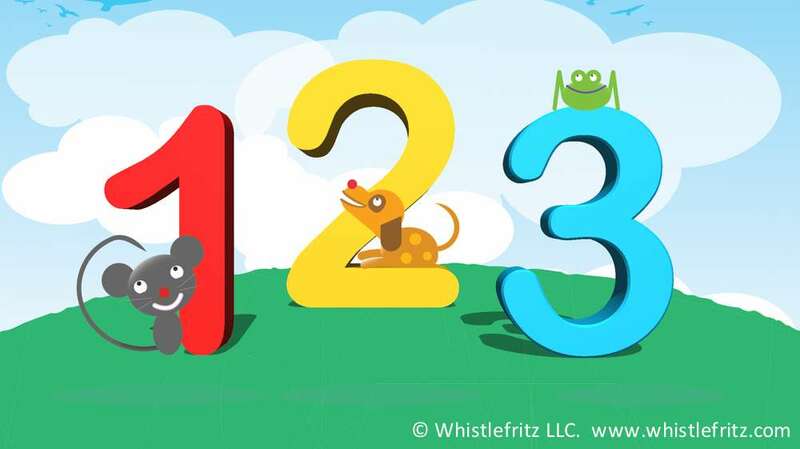 The video clip appears in Whistlefritz’s language immersion video Spanish for Kids: VAMOS A JUGAR. 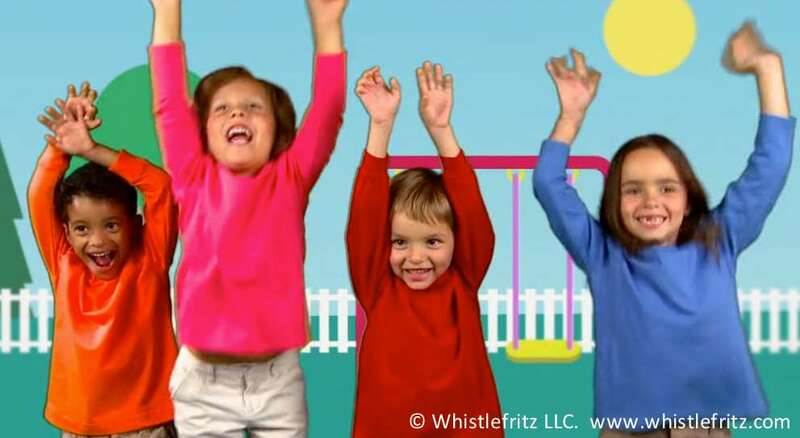 The song is from Whistlefritz’s CD ¡A BAILAR! 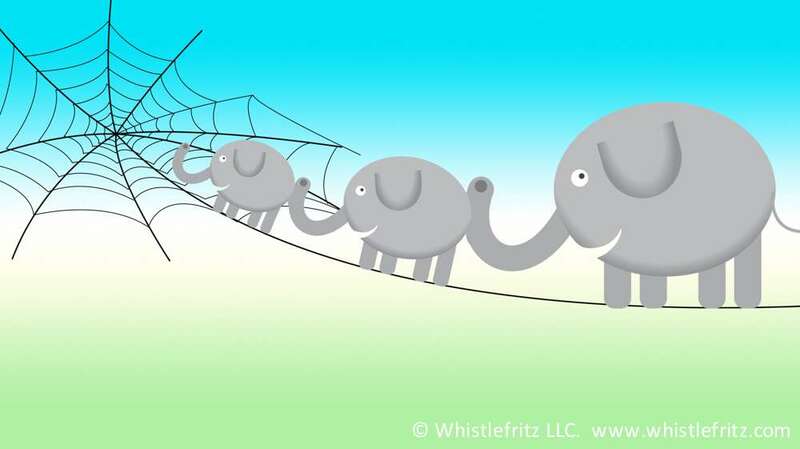 Song “LOS DEDITOS” from the Whistlefritz CD ¡A BAILAR! This high-energy, participatory song – “UNO, DOS Y TRES” – gets kids up on their feet dancing and learning the parts of the body in Spanish! As they count along, kids move their heads, arms, legs, waist, hips, and whole body to the irresistible Latin music of this song. The song, performed by Jorge Anaya, is from Whistlefritz’s CD ¡SABOR! Song “UNO, DOS Y TRES” from the CD ¡SABOR!